In 2011, researchers began to redo famous psychological experiments in their own labs. The shocking result: Over and over, the replicated experiments failed to reproduce the well-known original findings. Then, Cornell psychologist Daryl Bem published a paper that appeared to show real evidence for precognition — the ability to predict the future — in humans. He successfully replicated the experiment seven of eight times, always using large samples sizes and conventional statistical analyses. 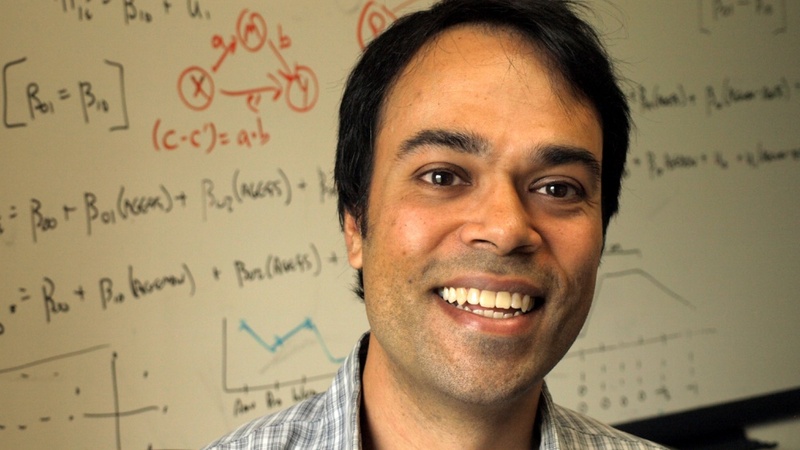 Sanjay Srivastava, a UO associate professor of psychology, recently spoke with Live Science about the flaws in psychology that allowed this to happen. Problems arise when researchers compute more than one P-value per study. If dozens of variables — like age, gender, income and education level, for example — are examined, one of them might be statistically significant by chance. Researchers can also affect their findings, purposefully or not, in another way: by slowly adding subjects to their studies until the results they want appear. Srivastava supports one plan to fix the struggling science of psychology. He believes that scientists, before beginning an experiment, should record decisions like how many subjects they plan to include and what variables they plan to analyze. The idea has received some pushback. Opponents argue that preregistration limits exploratory research and the ability of researchers to learn from their mistakes along the way. Srivastava’s research focuses on how personality affects and is affected by the social environment.